Rancho Peñasquitos is a community in the northeastern part of the city of San Diego, California. Peñasquitos means little crags or rocks in Spanish. It is adjacent to a canyon – an open space preserve – that offers hiking, biking, and equestrian trails. 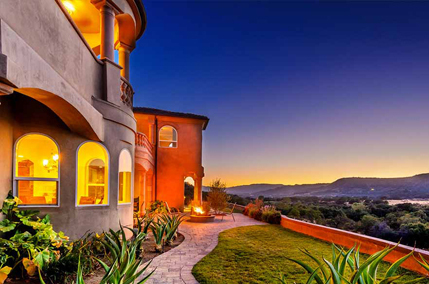 The population of Rancho Peñasquitos is approximately 55,000. It is commonly abbreviated as PQ and is located in ZIP code 92129. The telephone area code is 858. On the west by Torrey Highlands and Del Mar Mesa. The highest point in the community is Black Mountain, which rises to an elevation of 1,500 feet (460 m). State Route 56 (SR 56) runs from Interstate 5 in the Carmel Valley neighborhood of San Diego to Interstate 15. Route 56 was originally planned in 1964 to connect to the north end of State Route 125 and continue east to State Route 67, but the city of Poway worked to make sure that would not be possible. Therefore, the eastern terminus of SR 56 is also the western end of the Ted Williams Parkway. Route 56 is also called the Ted Williams Freeway (thus, both are named after baseball player Ted Williams, who was born in San Diego). Native American Kumeyaay history within the area dates back as far as 7,000 years ago. Remains of the prehistoric culture can still be found. Rancho de los Peñasquitos was present day San Diego County’s first Mexican land grant, the Rancho Santa Maria de Los Peñasquitos. In 1823, one league (4,243 acres; 17 km²) was awarded to Captain Francisco María Ruiz, a Commandant of the Presidio of San Diego. This one league was at the eastern part of the Los Penasquitos Canyon and extended into Sabre Springs and up to Rancho Bernardo.